Understanding how to deal with extreme amounts of student data is one of the major challenges in educational research today. John Stamper will discuss obstacles and opportunities to harness big data to make major gains in educational efficiency. Join AIM Analytics as we host J D Freeman from Unizin as he discusses analytics initiatives at Unizin. In this talk, Jiangang Hao will introduce efforts towards developing a standardized assessment for collaborative problem solving skills, outlining the major challenges, presenting our strategies, demonstrating a prototype-task and showing some preliminary findings. The theme of this years retreat is The Scholarship of Learning Analytics. A number of faculty will be sharing short (10-15 minute) overviews of their work and how it fits broadly with academic innovation. This year's first AIM Analytics event will feature a seminar from Dr. Marco Molinaro, the Assistant Vice Provost for Educational Effective at UC Davis. 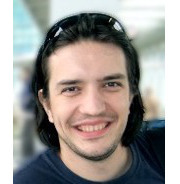 Vitomir Kovanovic will discuss a framework for the formative assessment of student cognitive presence based on learning analytics methods. Nia Dowell presents results from recent work that uses language to assess social dynamics during collaborative interactions. A panel will discuss privacy, policy, security, legal, ethical considerations and responsibilities when accessing educational datasets at Michigan. 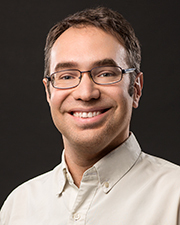 Daniel Seaton will discuss the connections between open online and on-campus learning, with an emphasis on relationships between course structure and behavior. Dr. George Siemens will discuss both the research and the practice of analytics in education. Dr. Ryan Baker will discuss his work studying the relationship between engagement and success in online learning in massive online open courses (MOOCs). 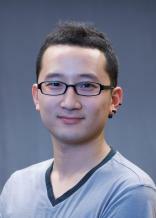 SungJin Nam will discuss data-driven methods to address challenges to predicting learner disengagement in real-time. To date, peer and technological resources have been studied in isolation, but research and theory suggest the social ties that structure peer interactions may also influence students’ use of learning technologies. This study treats students’ resources use as interdependent behaviors, examining their interrelationships in three sections of a large introductory lecture. 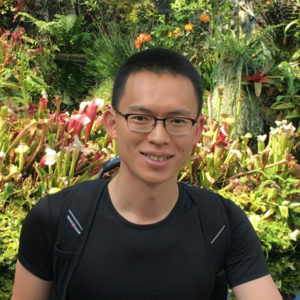 Dr. Chen will present an early effort of applying dynamic network analysis (DNA) to develop a more holistic understanding of Knowledge Building (KB) discourse. Join us on Monday, September 25 from 12 p.m. to 1:30 p.m. in the Hatcher Gallery of the Hatcher Graduate Library for AIM Analytics. Join us on Monday, December 4 from 12:00 to 1:30 p.m. in the Hatcher Gallery in the Hatcher Graduate Library (913 S. University Ave.) for AIM Analytics.